Los Angeles is much more than a physical city it´s a fantasy, a place where you can experience the movie magic of Hollywood and relax on iconic beaches. In L.A. you can take a behind-the-scenes peek at the glitz or spend a special time with the kids. Some of the more famous places to go near Los Angeles are Beverly Hills, West Hollywood, and there are small beach communities located up and down the coast, like Santa Monica. And, of course, don’t forget Anaheim, where Disneyland is located. If you travel to Los Angeles on your next vacation, it’s best if you stay in one of these places near Los Angeles to get more fun out of your trip. Beverly Hills is known for celebrities and remarkable mansions where the rich and famous reside. Beverly Hills has some places of interest and also offers amazing shopping and beautiful hotels which cater to stars. The year-round sunshine and incredible homes make this part of Los Angeles a wonderful place to stay. You can’t visit Beverly Hills without walking Rodeo Drive! Not only is the street is beautiful, you’re bound to see your share of luxury cars and often times, celebrities. You´ll find an eclectic mix of brand retail outlets, organic food stores, burger joints and restaurants. But be aware that parking is a headache here. No trip to L.A. is complete without visiting world-famous curvy, yet scary Mulholland Drive. The views are simply marvelous! There are several pull out points so you can stop for the iconic views as seen in loads of movies. Greystone Mansion and Park is a stunning place to visit and offers unparalleled views of Los Angeles. The grounds are beautifully manicured with lots of steep walking trails and stairs. Lots of movies were shot on this breath taking location and the opportunities to take some great pictures are plentiful. Spadena House will surprise you with its eccentric, imaginary and grotesque architecture and garden. The whimsical, haunted cottage is definitely not something you would expect to be in the middle of Beverly Hills. The Two Rodeo Drive is a cute, romantic street to walk with someone special. It has a great selection of very upmarket shops and fantastic restaurant as well. Perfect to enjoy a coffee sitting outside, people watching. Save on your stay in Beverly Hills, these 6 fantastic hotels just have special offers! Home of the world-famous Sunset Strip, West Hollywood is a unique cultural center that’s close to the other parts of L.A., too. The Sunset Strip offers dining, shopping and nightlife that are legendary. West Hollywood has also a thriving art and design community, featuring over 30 art galleries, 200-plus design showrooms and the Pacific Design Center. Sunset Plaza is a vibrant colorful area, great for “normal” shopping, lunch and dining. A nice mix of cool stores, fashionable boutiques, informal eating houses, fancy restaurants and coffee shops. Very convenient as there is free parking behind all the shops and restaurants. Chateau Marmont is historical, beautiful, modern, and classical all at once! The hotel is very well kept from the 1920s, the courtyard is just lovely for cocktails, and you feel like you had been transported back in time to the golden era of Hollywood. Sunset Strip is fun to see with such institutions as the Whiskey a Go Go, Viper Room, Rainbow Room and Chateau Marmont. Lots of things to look at, places to eat, shop, attractions, all within a few blocks, just like a little version of Las Vegas just without the casinos. Melrose Avenue is not like what you see on TV, but it is fun and the shops are on fashion with a quirky edge. You´ll find tattoo parlors, restaurants, vintage stores and the most famous landmark here is Paramount Pictures. Sundance Cinema will restore your faith in cinemas. It´s a beautiful, newly restored and comfortable multiplex movie theater specializing in first-run indie films, the environment feels like a private luxury screening with great vibe all-round! Great for everybody who want actually watch a movie without obvious distractions (21+ only). Want to experience more dining, shopping and nightlife in West Hollywood, California? Special deals for you at these 9 amazing West Hollywood hotels! 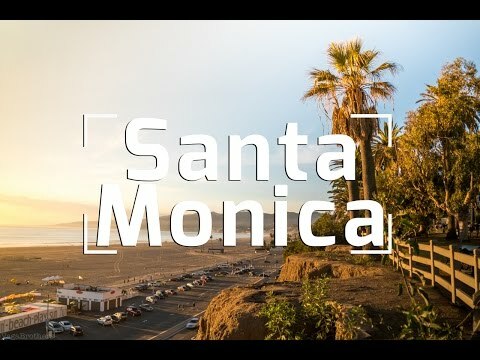 Santa Monica is probably one of the most beautiful areas around Los Angeles, boasting an astounding beach-side location, great night life and plenty of celebrities frequenting the area’s restaurants and bars. At night, visit the many bars or clubs – remember, however, that parking can be difficult. To avoid problems with finding parking, take a taxi or a limousine. Santa Monica Beach is lovely with its clean golden sand, a small wave for body boarding and plenty of cafes along the way. Santa Monica Pier has a fun and lively atmosphere with a nice breeze and ocean smell. You´ll find a wonderful mix of old and new rides that is great. And of course it is the start, or end, of the historic Route 66. Third Street Promenade is a lovely area walk, shop and grab a bite to eat. The entertaining street performers are so close they almost overlap. If you want to get away from the crowds it takes just a few minutes to the Santa Monica Mountains. The majestic views are definitely worth the climbs up these mountain trails. Visit the Main Street Farmers Market on Sundays and Wednesdays. This is what you´d expect a farmers market to be. Delicious food and fresh products with a wide variety on offer, most of the stall holders offer free samples of their food to eat. Save on your hotel bill with these great Santa Monica Hotel Deals! If you’re traveling with your family, visit Anaheim, about an hour south of Los Angeles. Here you will find Disneyland, the jewel in Disney’s Southern California crown. This is a great place to bring your family to spend the day with the Disney characters and riding classic rides like Space Mountain. And don’t forget to watch the parade and fireworks display at night. But there is more Anaheim has to offer. Anaheim Packing District is hip, young and trendy. The building is setup like a big open mall with plenty of restaurants, cafés, and shops. If you like places like Chelsea Market in NYC, the Ferry Building in San Francisco you will enjoy this place. Adventure City is great if you want some fun for a few hours with your little ones. It offers a good variety of small rides and a petting farm that will keep young children happy for the day. It is definitely less crowded and less expensive than the major amusement parks. Angel Stadium is a great place to go especially if you love baseball. But you can also take a behind the scenes tour. It is hard to believe that the stadium is 50 years old as it was upgraded to modern standards. The Little Arabia District is a fantastic place to discover Arab cuisine from falafel to shawarma and kebabs, hookah smoking and oriental grocery shopping. If you need a break from Disneyland Tourism, the Oak Canyon Nature Center is the place that will restore your soul. It´s a little slice of heaven, where you can walk above the canyon walls, or go for a stroll under old oak trees along the river bed. Before you book anywhere else, you need to check out these special Anaheim hotel deals! 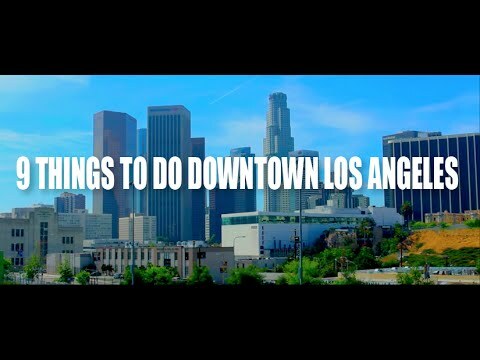 What to do in Downtown L.A.? For decades, Downtown has been the dark center of Los Angeles, a wasteland of half-empty office buildings and fully empty streets. It is still no candidate for perfection, but what was once desolate now offers a multitude of sensations, and is a common ground for people from diverse ethnic backgrounds. The Broad is the hot new museum in Downtown, it is fun and free. It shows mostly modern contemporary art, very nicely displayed. The architecture of the building itself is breathtaking and worth a visit. The Grammy Museum is a great place to learn some great history about the Grammy’s and some of the best all time Music Legends. It has exhibits, installations, performing costumes and interactive stations that relate to musical artists from literally every genre. Take a walk through popular music’s best times! Behind the rather unassuming exterior of Bradbury Building the open air atrium is breathtaking. You’ve probably seen the wrought iron staircases in dozens of movies. Blade Runner and some other great movies were filmed here. It has been restored to its original beauty. Little Tokyo is very artsy, everything here is Japanese and it takes you to another place. They have great food from Sushi to Ramen and lots of Japanese goodies that you would find in Japan. You can also have a look at the Japanese American National Museum, as it features interesting displays in a quiet and elegant setting. The Cathedral of Our Lady of the Angels is definitely not the average church you would expect. It is an exceptional breathtaking work of modern architecture and it features gorgeous tapestries, paintings, sculpture and a mixture of contemporary and ancient works. Find today's hotel deals in Los Angeles on TripAdvisor! The Best Way To See L.A.
For anyone visiting the Los Angeles, California area there is simply no better way to see the sites than on a tour with Starline-Tours. When you choose Starline on your LA vacation, expectations will be surpassed, as it is the oldest and largest sightseeing tour company in Los Angeles. Their employees are very knowledgeable regarding the area and can answer any and all questions you may have. A sightseeing tour should involve all of the most popular tourist attractions. You don’t want to find yourself on a bus heading to little known areas and locations you’ve never heard of. You will be taken to all the Los Angeles hot-spots and you’ll leave the tour feeling as though you’ve seen the best that California has to offer. Btw., you´ll find Starline Tour´s popular “Hop On Hop Off Bus” in 100 cities around the globe! You can choose between many different tours by night and day: to Celebrity Homes in Beverly Hills and Malibu, to Rodeo Drive Shopping, to great movie locations, to Santa Monica and Venice Beach, take the Grand City Tour of Hollywood & Los Angeles or discover the haunted places in Hollywood. If you like take a full day of action-packed entertainment all in one place: at Universal Studios Hollywood or Warner Brothers. The experience is affordable enough for the whole family to take part in and you’ll leave Los Angeles feeling as though you’ve seen everything you hoped to see and even more and leave Los Angeles with a lifetime of great memories!